CATALINA ISLAND -- A man who died in a boating accident this morning in waters off Catalina Island has been identified as Michael Harris, the son of former San Francisco 49ers CEO Peter Harris. 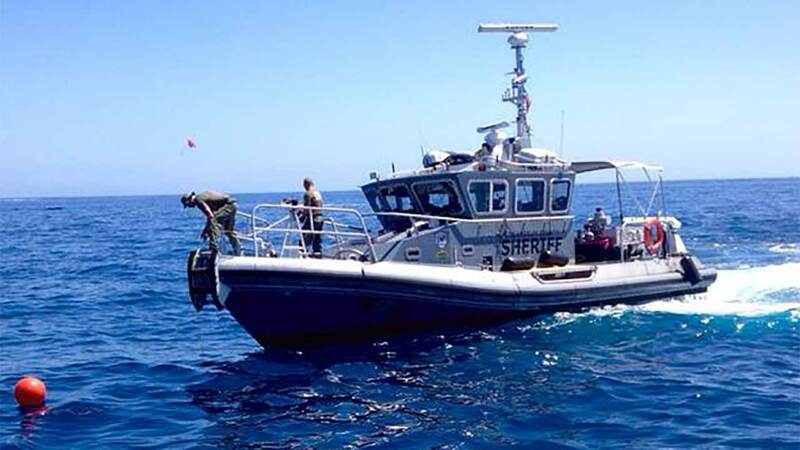 A dinghy carrying five people collided with a boat near Descanso Bay at about 1:20 a.m., U.S. Coast Guard Spokeswoman SondraKay Kneen said. Both parents posted the news about their son's death on their Facebook pages. Three others were injured and crews are searching for person went missing after the crash. A helicopter crew from the Los Angeles County Fire Department transported the three injured boaters to Ronald Reagan UCLA Medical Center. Two of the boaters suffered minor injuries, and the third suffered a head injury, Kneen said. One of the victims is also Harris's girlfriend Kelly Wells, according to the Harris family. The Coast Guard immediately launched a 45-foot Response Boat, a Medium boatcrew from Coast Guard Station Los Angeles, and a MH-65 Dolphin helicopter crew from Coast Guard Air Station Los Angeles to assist the Los Angeles County Sheriff's Department's Avalon Station in search efforts. Coast Guard and county officials provided no other details about the collision.